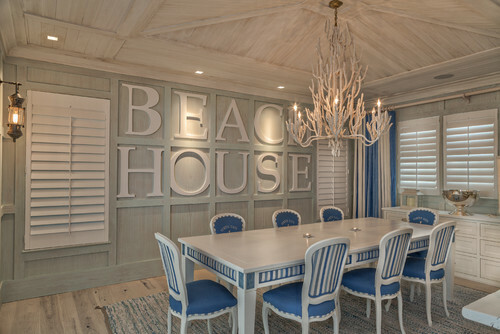 Use letters to create a feature wall in your home. Feature walls are a great way to define a space and provide art at the same time. So, why not use letter art to complete the statement. 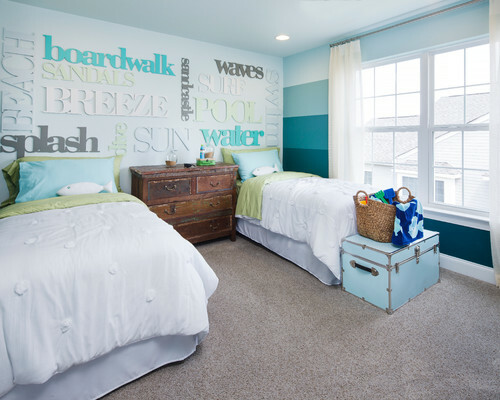 This fun in the sun, beach themed room uses a combination of upper case and lower case letters to create a collage of words. 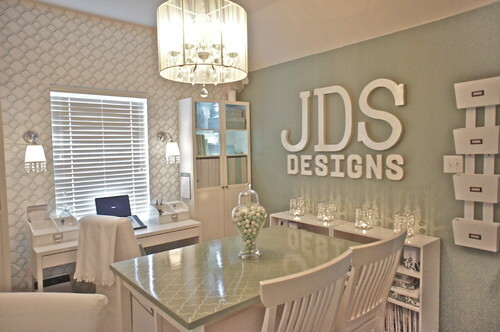 Vertical and horizontal placement as well as complimentary colors results in a 3D wallpaper look. 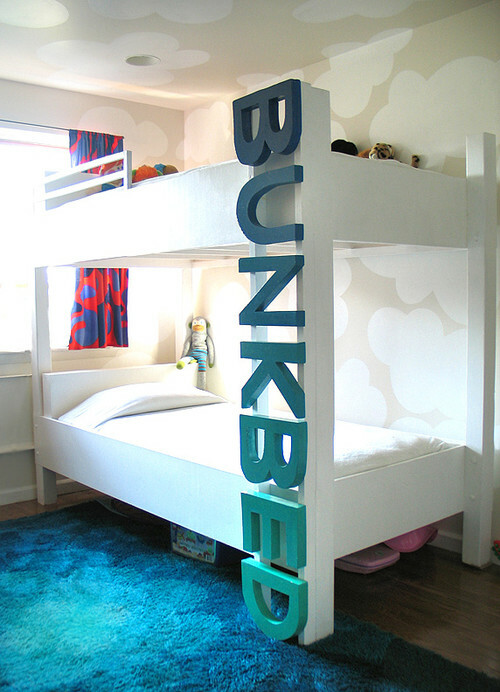 What better way to use letter decor than to incorporate it into your furniture. I love the way that this bunked ladder is made from wooden letters. It provides lots of little nooks and crannies for little feet. 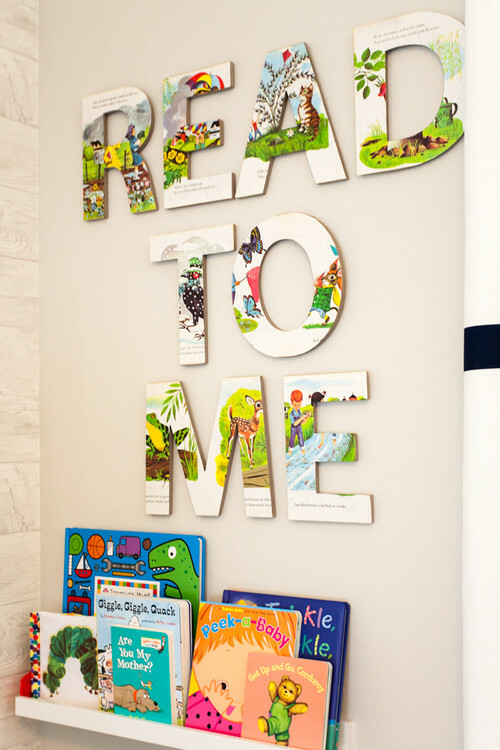 Consider customizing your bookshelves with letters. 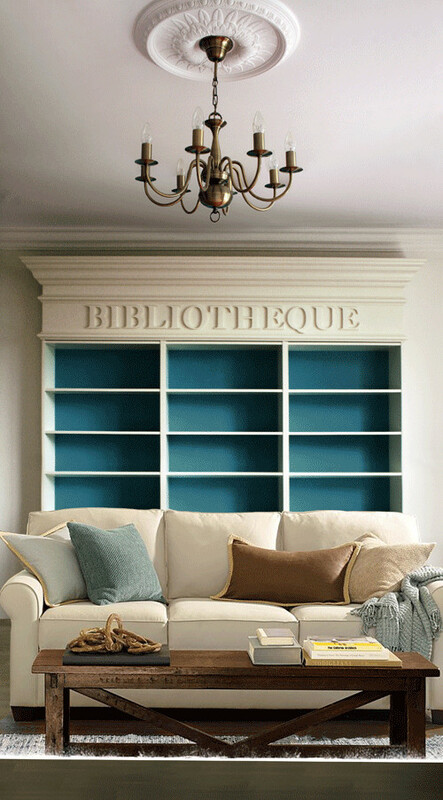 Here, letters lend a sophisticated look to this diy bookcase. It’s just the final touch that was needed. Why not use letter to create wall art that looks great and lets people know where they are or what the space is used for. Letters also work great to personalize your work space or craft room. This room was designed on a budget. From the Ikea table (customized with wallpaper) to the craft store letters, it just goes to show that a beautiful room doesn’t have to cost a fortune. 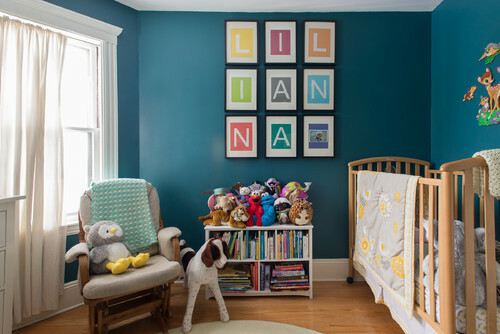 With the right paint and complimentary accents, this room looks like a million bucks! 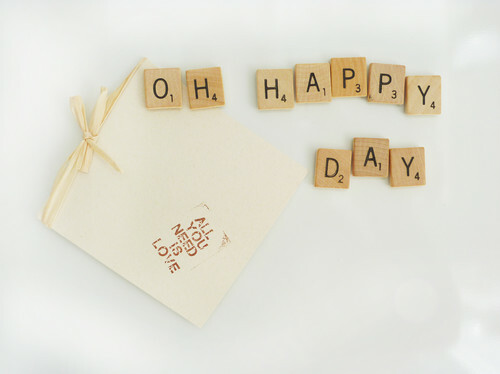 I love scrabble art! All it takes is a flat piece of wood cut 2″ longer than it is wide (i.e. 8″x10′), some stencils and some black paint. Then, you can make your very own scrabble art. 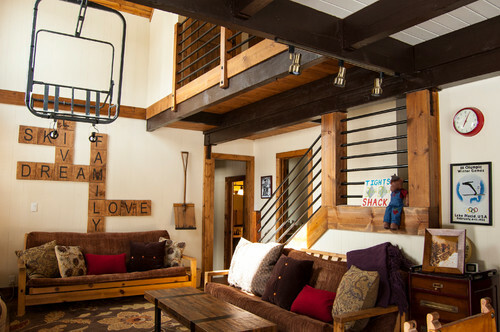 I like the way that this homeowner used scrabble art to personalize the basement’s family zone. Each family members’ name has its own place on the wall. Scrabble tiles also make great magnets. They are a nice alternative to the traditional plastic letters. Framed letters are a nice way to create wall art. With all the different frames and mat boards that are available, the design possibilities are endless. A great alternative to frames is to use a canvas. Canvases can be painted or wrapped in fabric to give a beautiful backdrop. Anytime that the perfect pier of art can not be found for a space, consider creating your own. Mount the letters to old planks. That’s what I did with this beach themed project. (The entire how to can be found here). 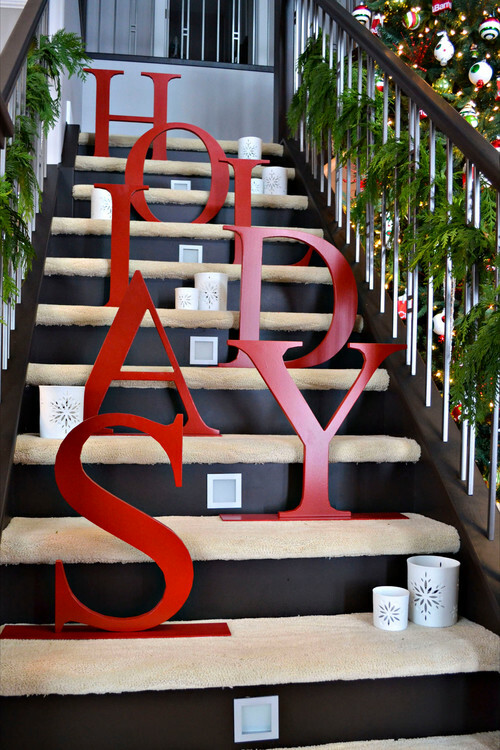 Letters can be the perfect decoration for your holiday decor. This is a good way to create the biggest impact for a dollar. So, if you ever get tired of you everyday letter decor, don’t throw it out. Just stash it away until the next holiday rolls around, and give it a makeover. Letter Decor Ideas…. Decorate it! 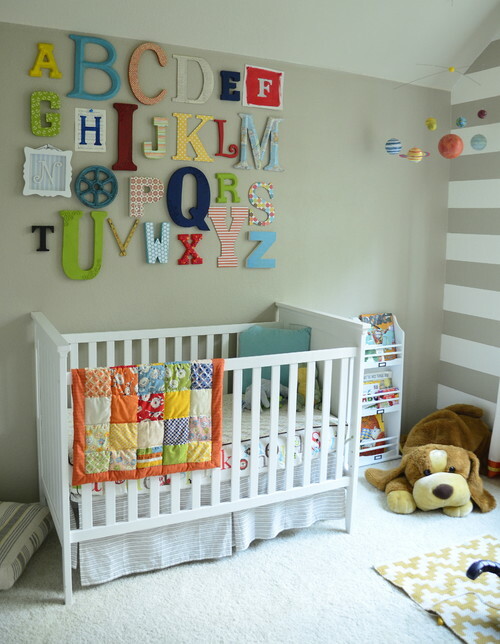 Now that we have covered a few different ways to utilize letters into your decor, let’s look at a few ways of how you can decorate those letters – other than with just paint. This idea is just adorable. It is letters covered in a favorite childhood story book. You can order these through companies that custom cut the letters straight from a book of your choice, or you can simple do it yourself. It’s really not that hard. I demonstrated how to cover letters (in the beach themed project listed above) using just decoupage. Why not upholster them? 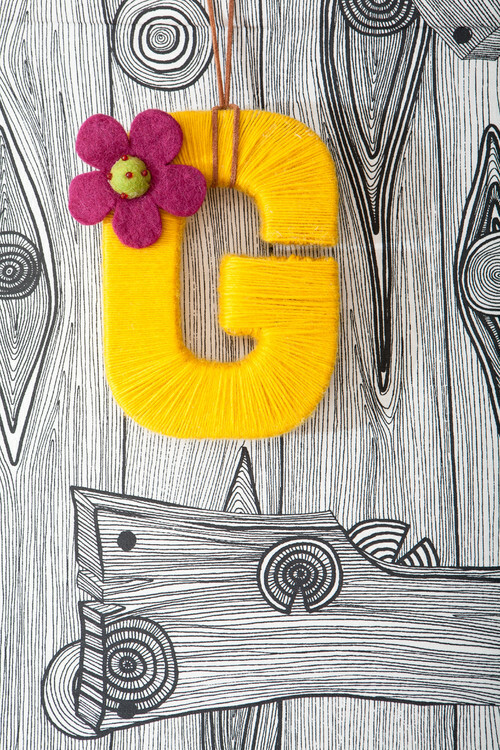 Upholstered letters brings texture to the walls. 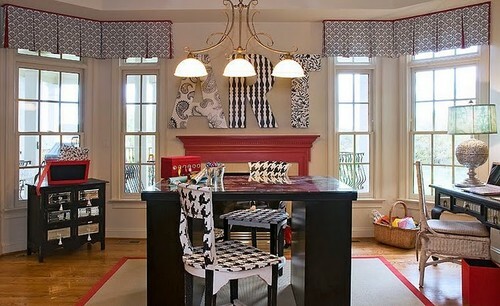 Plus you can design them with a fabric that matches drapes, pillow, rugs, etc. 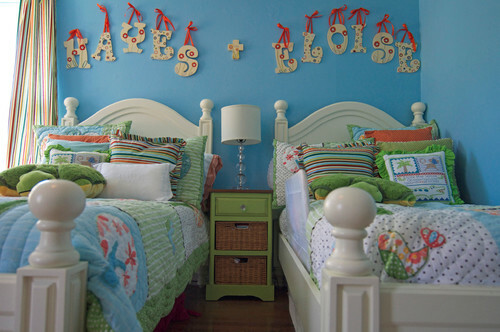 A very simple way to decorate a child’s room is to hang letters from ribbons. It’s just sooo cute for little girls’ or nursery rooms. The same way that craft paper or books can be used to decorate letters, wallpaper can be used as well. I like the way that the letters here match the chairs. 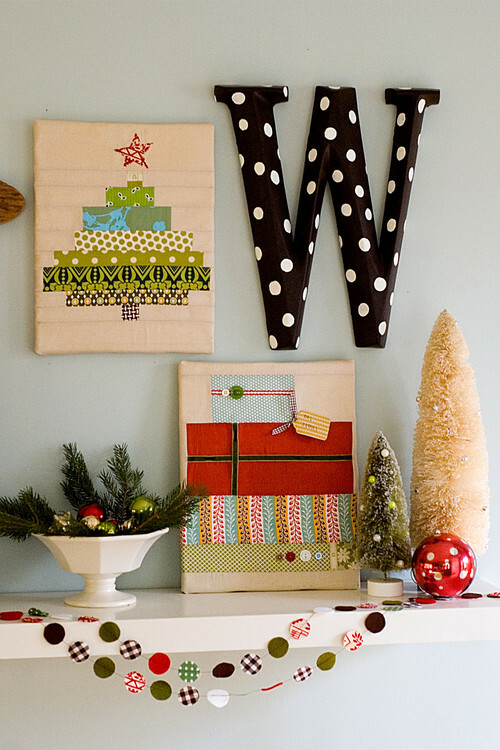 Another budget friendly way to finish letters is to wrap them with yarn or twine. This is also a great project to let the kids help out with. 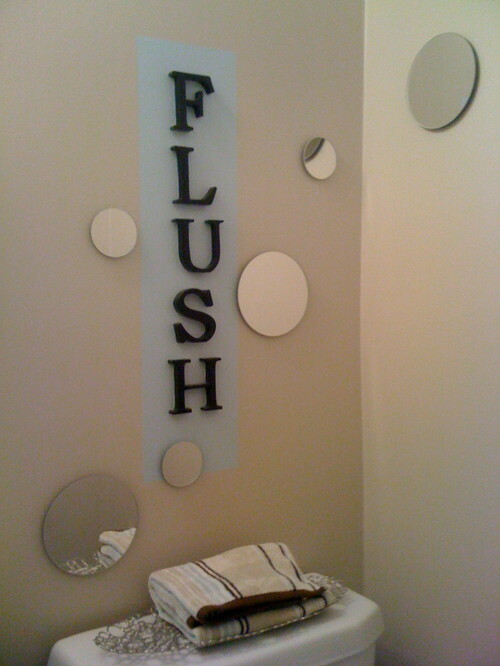 As you can see, letter art can be used in all rooms from the most sophisticated to the simplest of designs. 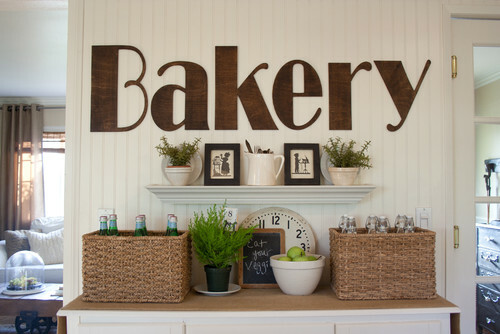 So, why not incorporate some letters into your decor today?